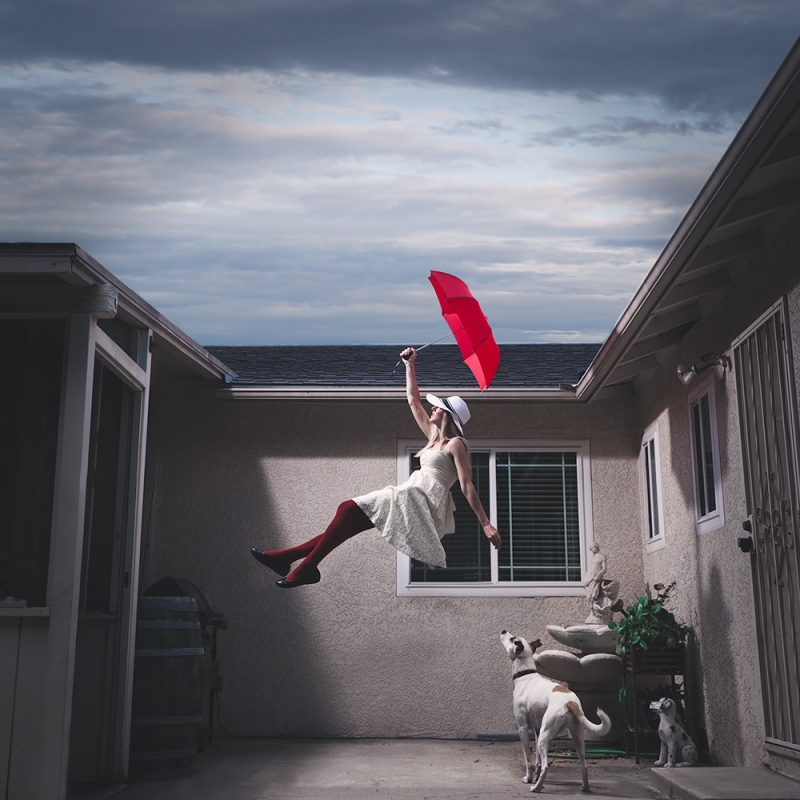 Mary Poppins in my back yard? It can't but true. A photo of my sister Amanda floating through the air of my parents backyard. Just so happens my dog wanted to be in the photo too!